My mother, Lorena Marie Carney, died on February 7th, 2018. I have decided to dedicate this article to her, and to the legacy of faith she left behind. My grandmother and mother both had a genuine faith. But I believe my mother turbocharged the faith she was given by her mother. She was a woman who was dedicated to reading her Bible and to “praying without ceasing” for her family. She was more than a tither, giving above and beyond her tithe all of her life. She had a faith that claimed all of her family would be saved. This faith has been tested over the years, as there are still some who are not saved. But that never stopped her. One story is told of how she prayed for years that my aunt and uncle would be saved. 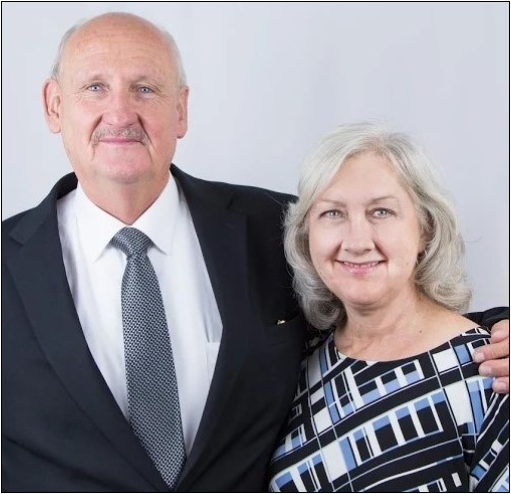 “I’m not planning on getting saved,” my aunt told her early on, “but if I do, you will be the first one I call.” Twenty-five years later, my aunt called Mom first to tell her that she and my uncle both got saved. Among the many other stories, my own is worth noting. I spent several years away from God, involved in drug addiction and many other sins, yet she never stopped praying for me. I know that is why I am saved today. Shakespeare said, “Good wombs have born bad sons.” That was me, yet she always believed that one day I would be a good son. One thing that always stuck with me throughout my sin and rebellion was my mother’s genuine faith. It’s one thing to have faith. It’s another to have genuine faith. It would have been easy to fight the conviction of the Holy Ghost if I saw her faith was compromised or shallow, but a genuine faith is hard to ignore. One of the things I spoke to my family at the service was that we had all received a genuine faith from our mother, and that there was a responsibility associated with that. Jesus said, “For everyone to whom much is given, from him much will be required; and to whom much has been committed, of him they will ask the more” (Luke 12:48). Some of you who are reading this right now may have family members who are away from God. I know what it is to have a child go astray, and the torment of spirit and mind that are associated with it. My challenge to you is to keep your faith genuine and never stop praying for those who have strayed. Your greatest hope rests in a miracle-working God who is faithful to His people. As many in the Church are aging – myself included – one important admonition is that we maintain a genuine faith. Paul tapped into this when he admonished Timothy to stir up his own faith and gifting. The good thing was that Timothy had reference points in both his mother and his grandmother. On another note, nothing is said about the spiritual nature of Timothy’s father. That means that even if you are a single parent, or unequally yoked to an unbeliever, your faith can shine through and have impact in your family. A genuine faith will leave a legacy that cannot be ignored. So it is with every believer who dies in the faith. The legacy they leave behind continues to shine long after they have gone. I feel honored to have inherited a genuine faith. I am going to do all I can to live that faith out and leave it for my children and grandchildren. My mother was also a prolific poetess. Allow me to share with you one of her poems. Waiting in heaven for me. Things I have to look forward to When this body I shall shed. As I enter that glorious city... Oh, what a lovely view! And the luscious fruit they bear. And there will be so many things That I will want to do. The ones I haven’t seen since They left the earth down here. For you see, in this great city, There’s no tears, no death no pain. As I reflect upon that day? Oh, what a joy it is to ponder What is waiting in heaven for me! Praise God, she waits no more!